estos and Broadsoft share a common vision: improving communication and collaboration at workplace, through the innovation offered by digital transformation. The ECSTA series, i.e. estos professional TAPI driver, enables communication between the telephone system and the IT infrastructure. 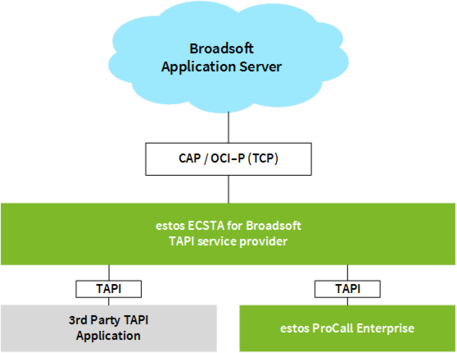 estos ECSTA for Broadsoft delivers a Telephony Service Provider (TSP) for Microsoft® Tapi 2.1 (also 2.2 and 3.0). This Tapi driver establishes a central communication between a PC / Server and the telephone system, adopting Broadsoft OCI-C and OCI-P protocol. For further information on supported features and system requirements, click here. 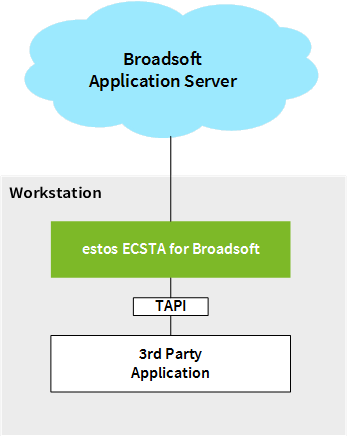 ECSTA is installed on a single computer and directly connected to the Broadsoft platform providing native and standard TAPI to any local application. ECSTA is installed on a Server environment and can be configured to control multiple extension at once. Such configuration allows for a server-side 3rd party TAPI-compliant application to work server side. 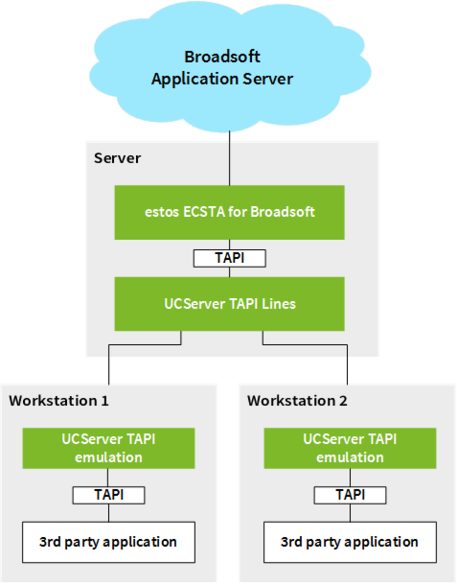 More complex scenarios may still require TAPI on each workstation; combining ECSTA with estos UCServer TAPI Lines middleware allows for centralized single-workstation TAPI configuration, deploy and maintenance. It also supports virtualized desktop environments where TAPI, due to its computer-based configuration, would normally be impossible to set up. Our UC suite, ProCall Enterprise, i.e. a CEBP solution that can be easily applied through different business lines and several vertical industries to enhance your business process workflow and your customers' experience. 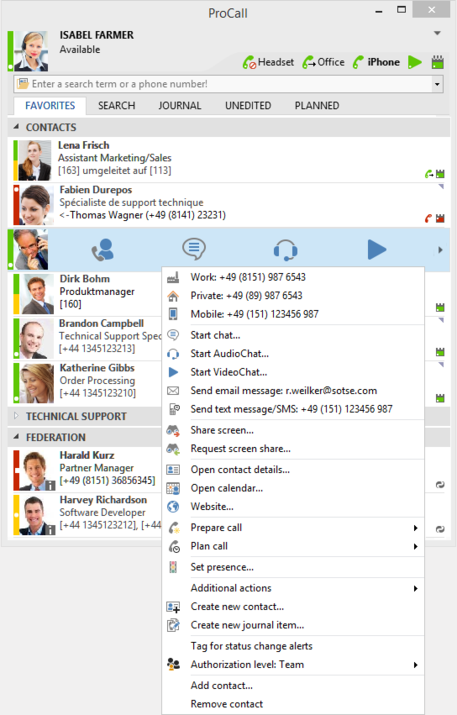 CTI, instant messaging, desktop sharing, click-to-dial are only some of ProCall Enterprise features that enable collaboration and networking in your workplace. After installation in Workstation Mode the configures telephone set can be used as Tapi line device. You may not start using a CTI Software. After installing the driver in server mode, you may use all configured line devices on the server as TAPI-lines. If you are using a server based CTI Software, you may install it now. To have the TAPI-devices available on all workstations, the TAPI-driver must be distributed in the network. Do you need more information? Do you want to know more about our solutions for Broadsoft?